Learning about boundaries and consent is a process that takes place over many years. Here’s what it looks like at different ages. (Note: There are times, of course, when you would have to reassure you child and go forward with the genital exam if there is a medical concern. 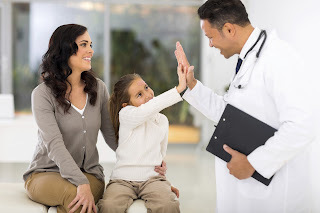 And yes, there are times when children’s bodies need to be touched for a variety of other medical reasons when they have not given permission (e.g., medication in ears, shots or even putting sunblock on when a child refuses); however, there are also times when honoring a child’s lack of permission is an excellent reinforcement in teaching consent.